One of the most decent, honest and likeable characters in rock and roll circles John Robert ‘Joe’ Cocker OBE is also arguably Britain’s most recognisable R&B singer. His haunting rasp, full of pathos and carried by the weight of a life lived on the edge of regret and self-doubt, is Cocker’s calling card. Over the years he has been the recipient of good songs to cover and ill fortune to bear but he has the soul of a survivor. He came to prominence with his wracked take on The Beatles’ ‘With a Little Help from My Friends’ – a much jauntier affair in Ringo Starr’s sunny version – and the attendant album, plus a ground breaking performance at Woodstock made young Joe a superstar in his own right by the end of the sixties. He won the Grammy for his duet with Jennifer Warnes on Up Where We Belong – a Platinum single no less – and his work with the Grease Band and his stint as front man on the infamous Mad Dogs and Englishmen tours have placed him in the history books and given him legendary status. A son of Sheffield Joe Cocker cut his teeth in the local workingmen’s clubs, firstly as a drummer and then as somewhat reluctant vocalist. Influenced by Ray Charles and skiffle as much as Merseybeat his first single was nevertheless a cover of John Lennon’s ‘I’ll Cry Instead’ with young Jimmy Page featured on guitar. Having got nowhere with his band The Avengers Joe began to see the light once he teamed up with Chris Stainton and Jimmy Smith who named themselves The Grease Band and were signed by impresario and producer Denny Cordell. Cocker’s rearranged ‘With a Little Help from My Friends’ dented the British Top Ten and provided the impetus for his debut album of the same name. Featuring stellar interpretations of Traffic’s ‘Feeling Alright’ and the Dylan cuts ‘I Shall Be Released’ and ‘Just Like a Woman’ the album was enhanced by high-class contributions from Tony Visconti. Albert Lee, Stevie Winwood and Spooky Tooth’s drummer Mike Kellie but it’s best remembered for the singer’s plaintive sobbing vocals abetted by soul divas Brenda Holloway, Merry Clayton et al. Excellent reviews and impressive sales didn’t go unnoticed. 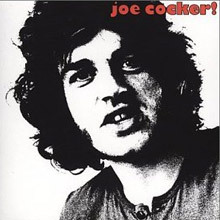 Cocker’s next 1969 disc, simply Joe Cocker! was blessed with the largesse of Paul McCartney and George Harrison who offered the singer first grabs on ‘She Came In Through The Bathroom Window’ and ‘Something’, even before they’d appeared on the Abbey Road album. ‘Let It Be’ was another session outtake and Cocker’s friends in high places ensured this sophomore effort, now assisted by American specialists Clarence White, Milt Holland and Sneaky Peter Kleinow made heavy inroads into the American market. Tracks like ‘Delta Lady’ – penned by soon to be accomplice Leon Russell - and another Dylan cover, ‘Dear Landlord’ seemed made to measure for Cocker’s live act where his body language was a tortured writhe; they also sounded great on nascent FM radio. Mad Dogs and Englishmen – the tour, the film, the album – was a supergroup and thehn some affair which took place with maximum razzle dazzle and operated like a travelling rock and roll circus complete with acrobats, jugglers, groupies and a variety of hangers on of dubious repute. A sprawling double album it contains many highlights, especially in the ‘Blue Medley’ where Joe tackles some old soul favourites, and on ‘Superstar’, the Russell and Bonnie Bramlett set-piece where fellow Mad Dog Rita Coolidge lets rip. This resume of Cocker’s career is widely considered to be one of the most fascinating artefacts of 1970. The album Joe Cocker (1972) marked a return to sanity after the craziness of the Mad Dogs sojourn while I Can Stand a Little Rain and Jamaica Say You Will are further star-stuffed affairs with contributions from Randy Newman, producer and horn player Jim Price and a sequence of fine material, expertly performed by the maturing Cocker. Stingray (1976) is one of Joe’s most esoteric discs. Guests include Eric Clapton and Peter Tosh and the loose, reggae vibration is quite in tune with the times. Reggae’s rhythms can sound hackneyed in lesser circles but Cocker is at ease with the groove. We pick up Joe again on the fine Sheffield Steel (1982) where he moves his operation to the Bahamas’ and digs up some goodies with the Compass Point All-stars – including Sly and Robbie, Wally Badarou and MIkey Chung. Joe’s choice of songbook is as exemplary as ever. He covers Dylan and Newman, Andy Fraser, Jimmy Cliff, The Meters, Winwood and Jimmy Webb and makes their music his own. Those qualities abide on the spiritual Hymn for my Soul (2007) another marvellous bunch of interpreted classics – this time from the pens of George Harrison, Stevie Wonder, John Fogerty and Percy Mayfield – as well as perennial markers from Dylan and John and Paul. Working with Ethan Johns Cocker sounds revitalised as he tackles Stevie’s ‘You Haven’t Done Nothin’’ and gives George’s ‘Beware of Darkness’ its best reading since the original. Good to hear him backed up the cream of the crop again – that’s Heartbreaker Benmont Tench on piano, Greg Leisz on pedal steel and Jim Keltner on the sparse kit. Additional items of note include The Anthology. This is a fantastic double-CD compilation that gathers his early Decca single ‘I’ll Cry Instead’ and the hard to find ‘Marjorine’ and then delivers hit after hit and stone classics to spare. If you’ve missed this one in the past then check it out. It provides a terrific overview of a consummate musical history from the period 1964 to 1982. As usual we also have the fine value for money 20th Century Masters – The Millennium Collection: Best of Joe Cocker. One of the real heroes of British rock Cocker is one of the few artists who you instantly recognise after half a bar. We think he’s been overlooked somewhat and even undervalued in recent years so now seems like a good time to pay him his dues. Joe’s given so much of himself; let’s give the singer some. 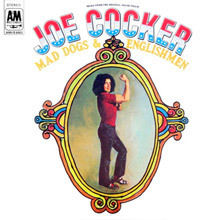 Mad Dogs and Englishmen is a live album by Joe Cocker. It was released in 1970 and featured a fusion of rock and soul. The album title is drawn from the 1931 Noël Coward song of the same name. Mostly Cocker's album is made up of covers, drawing equally from rock (The Rolling Stones, Traffic, Bob Dylan, The Beatles) and soul (Ray Charles, Sam and Dave, Otis Redding). Accompanying Cocker is an enormous choir, a two-piece horn section and several drummers. According to the liner notes: "All elements of the Truth" are included here. 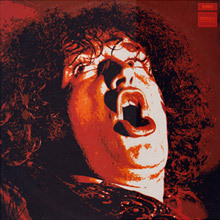 With a Little Help from My Friends is the first album by singer Joe Cocker, released in 1969. It was certified gold in the US and peaked at No. 35 on the Billboard 200. The title track was written by John Lennon and Paul McCartney and originally performed by The Beatles on the album Sgt. Pepper's Lonely Hearts Club Band. Cocker's version was the theme song to the television series The Wonder Years during the 1980s and 1990s. Joe Cocker! 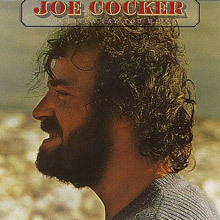 is a 1969 album by Joe Cocker, his second. Following the template of his first LP, this album features numerous covers of songs originally performed by Bob Dylan, The Beatles, Leonard Cohen, and future touring partner Leon Russell. Cocker co-wrote one song, "That's Your Business Now," with Chris Stainton. 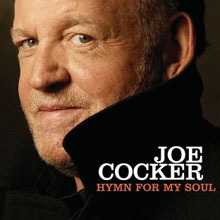 Hymn for My Soul is the twentieth studio album by Joe Cocker, released in 2007. It was produced by Ethan Johns. Musicians on these special sessions included Tom Petty & The Heartbreakers' Benmont Tench, legendary drummer Jim Keltner, Mike Finnigan, ace guitarist Albert Lee, Dave Palmer, Greg Leisz, James Gadson, Bob Babbitt and Johns. The songs include Cocker's signatures on George Harrison's "Beware of Darkness", Bob Dylan's "Ring Them Bells", John Fogerty's "Long As I Can See The Light" and Stevie Wonder's "You Haven't Done Nothin'". 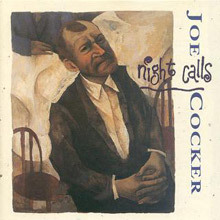 Night Calls is the thirteenth studio album by Joe Cocker, released on 7 October 1991. There were three different editions of the album released in 1991 and 1992. All of them featured different selection of songs, also in different order and cover artwork was also different for each of them. 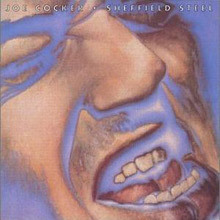 Sheffield Steel is the eighth studio album by Joe Cocker, produced by Chris Blackwell and Alex Sadkin, with Sly and Robbie, Wally Badarou, Barry Reynolds, Mikey Chung and Uziah "Sticky" Thompson, aka the Compass Point Allstars, a studio band named after the legendary Compass Point Studios, Nassau, Bahamas, and released in 1982. It was re-released in 2002 with several bonus tracks. 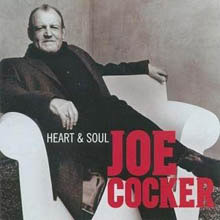 Heart & Soul is the nineteenth studio album by Joe Cocker, released in the UK on 12 October 2004, and in the US on 1 February 2005. The album is composed solely of cover songs, including a live version of the U2 song "One" taken from Cocker's 2004 Night of the Proms performance in Antwerp, Belgium. 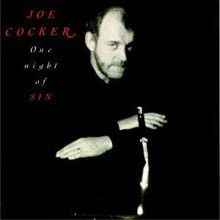 One Night of Sin is the twelfth studio album by British rock musician Joe Cocker, released by Capitol Records in June 1989. It contains the hit single "When The Night Comes" (US #11), which is Cocker's last US Top 40 hit to date. Jamaica Say You Will is the fifth studio album by Joe Cocker, released in April 1975. The songs from the album come from the same sessions that produced the highly acclaimed LP I Can Stand A Little Rain (1974). It includes participation by Randy Newman; rhythm section on most of the songs is played by the Kingpins, formerly known for being saxophonist King Curtis' backing band, including Bernard "Pretty" Purdie on drums. "(That's What I Like) In My Woman" is a fast-driven song with horns, "Where Am I Now" and "I Think It's Going To Rain Today" are sort of twin songs, as they're not separated. "Oh Mama" is pure vocal blues, accompanied by a saxophone. The over-all influence is clearly black music, soul and blues in particular. The album winds up acoustically, with a simply arranged, folk-flavoured tune, "Jack-A-Diamonds".